GICLEE (gee-clay) Limited edition print process with inks on paper or canvas. The giclee's are printed on the finest archival canvas and paper. The color and resolution are of the highest museum quality available. Something magical happens with this printing process from the original paintings. Usually a small original painting is selected and greatly enlarged. 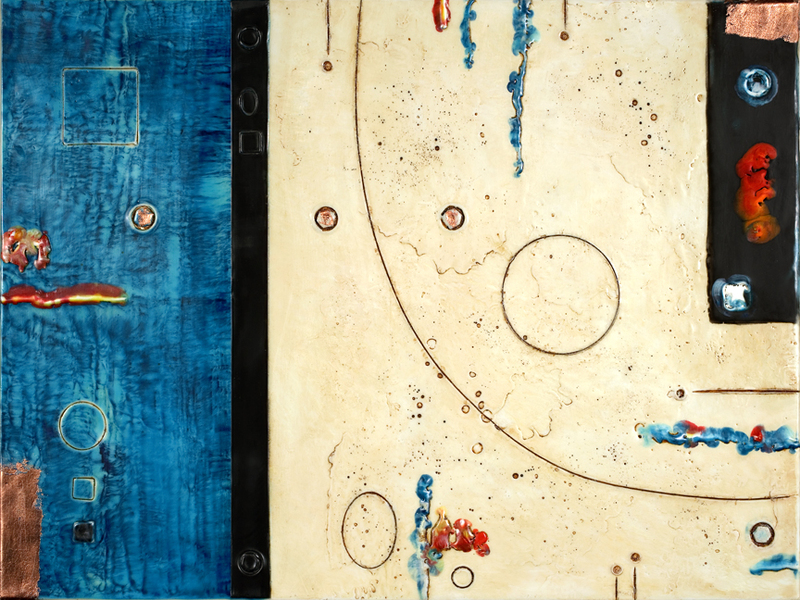 All of the nuances become amplified, conveying a unique perspective that resonates fabulously different, and be impossible to replicate in an original painting of the enlarged size, due to the limitations of the encaustic process.